Create interactive presentations to educate employees on health and safety issues of the organisation. Design an engaging interface that encourages interactivity. 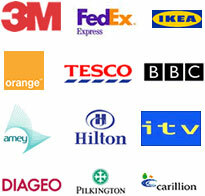 Co-ordinate with other client marketing efforts to enhance the corporate identity. We designed, developed and produced presentations to help inform prudential employees of all health and safety aspects of the organisation. A full multimedia solution covered building, security, tenancy, manager and staff issues related to H&S all in a highly interactive way. We implemented a combination of 3D and multimedia technologies to meet the business presentation requirements. Users are quickly engaged by the highly interactive, multimedia presentation. Comprehensive information is communicated effectively and is supported by audio and visual elements to deliver key messaging. Increased the knowledge on health and safety, credibility and impact of the company.